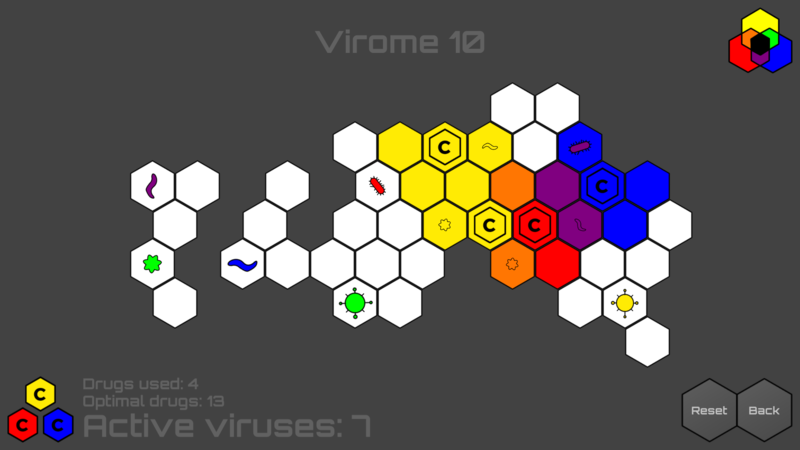 A puzzle game where you assume the role of a lab scientist, mixing and matching coloured drugs to treat viruses. Treat the viruses. Save the world. Our first game jam entry (and first attempt at using Unity! 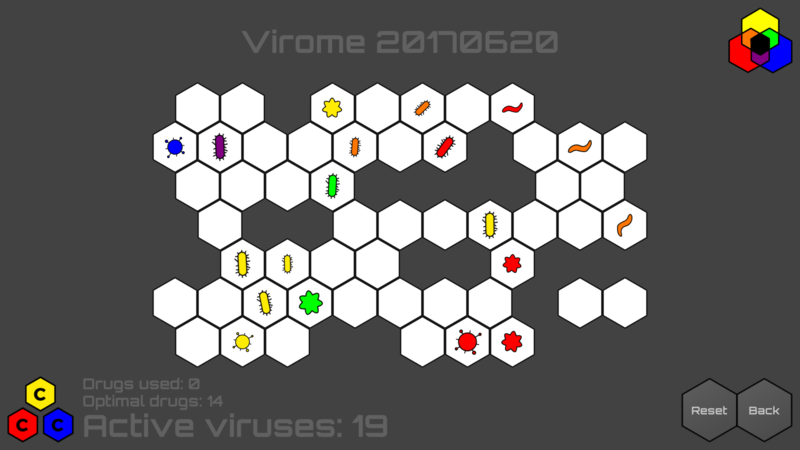 ), Virome (originally called "Superbugs") was developed in 48 hours for Ludum Dare 38 with the theme "A Small World". Following overwhelming positive feedback, we produced an improved version of the game including extra features. Can you find the optimal solution for each virome? There are currently no trailers available for Virome. Check back later for more or contact us for specific requests! 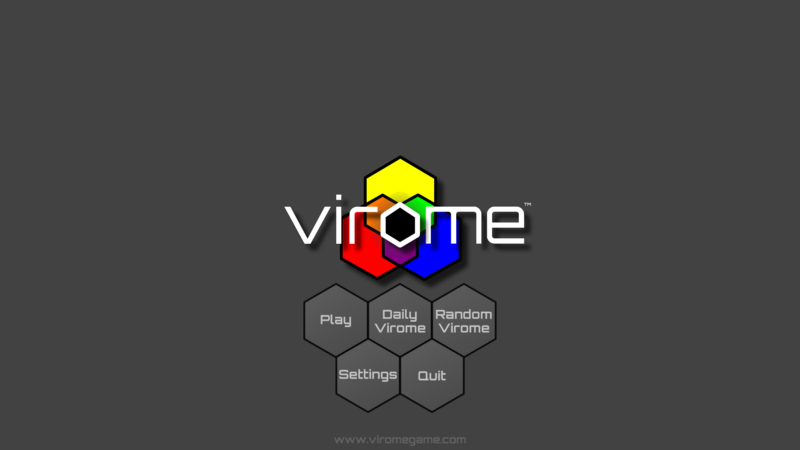 The original Ludum Dare page for Virome (or rather "Superbugs", as it was originally named) ldjam.com/events/ludum-dare/38/superbugs.